expanded along the variable axial trajectory when opening, to enlarge the distance between door and the oven body. 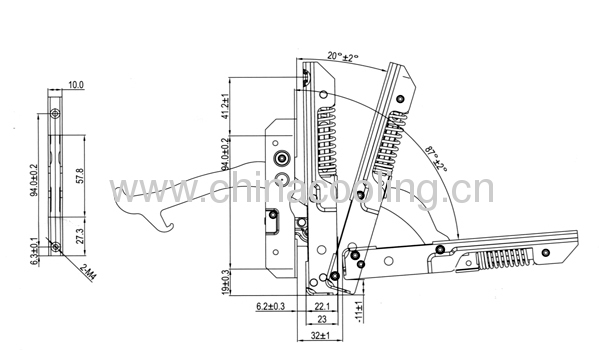 2.Loading capacity: 2.5-9.5KGS, the maximum distance from rotation axis centre to gravity of the door is 230mm, open the door from 20-87 angles, it can be stopped automatically in any position. 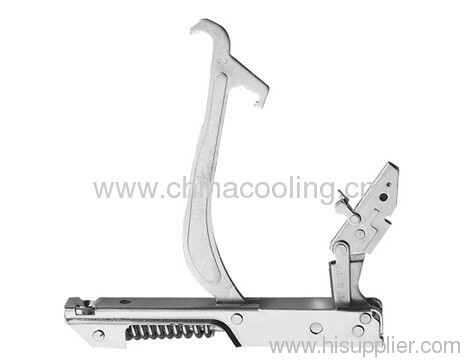 3.Oven door size: thickness 45-90mm, height 200-550mm. 5.Short-term static load: 30-34KGS (centre of the oven door).